Alibaba’s Min Zheng has followed up a tweet earlier in the week pertaining to an iOS 11.3 0day bug by confirming that a kernel-level bug has also survived Apple’s iOS 11.3 update. This doesn’t exactly provide us with an immediate jailbreak but it does start to elevate the excitement levels. 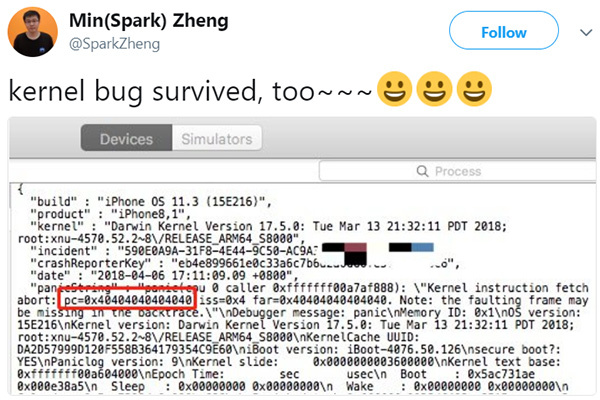 Zheng has once again taken to social media in order to confirm that a kernel-level bug has “survived” Apple’s iOS 11.3 push from pre-release to production. This presumably means that Zheng was already aware of the existence of the bug when iOS 11.3 beta was released into the development community but that he was waiting for the firmware to be made public by announcing whether or not it still exists. The good news appears to be that it is still present in the public-facing version of iOS 11.3 with the security engineering posting an image inside of the tweet to offer confirmation. So, with this kernel-level bug, as well as the previously posted 0day, we now have two very important and very confirmed bugs which exist in Apple’s maiden iOS 11.3 release. 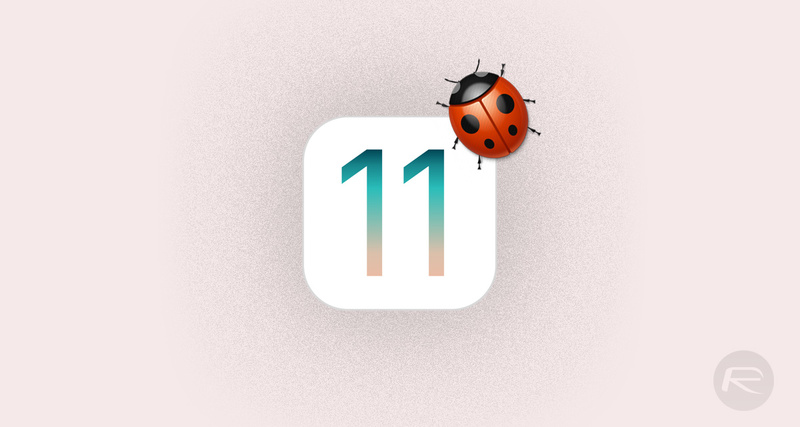 There is definitely no guarantee that either of these two announcements would be useful as far as an iOS 11.3 jailbreak is concerned but it’s important to note that they do exist and it at least starts to open the door for Zheng – or any other security researcher or developer with the requisite knowledge – to start looking at how the bugs can be exploited to actually get the jailbreak community to the stage of being excited. Of course, a lot of that actually relies on Zheng posting additional information about the bugs, including a potential proof-of-concept about how someone could exploit the issues in order to get root privileges or sandbox escalation. What it does mean is that the jailbreak community is likely going to start getting excited again and keeping fingers crossed that this could potentially lead to something huge and notable for those iPhone and iPad owners who have taken the leap to run iOS 11.3. It’s always prudent in these circumstances to use the word “could” as you never actually know what researchers like Zheng intend to do with what they have found. As always, we’ll keep you updated as this progresses.